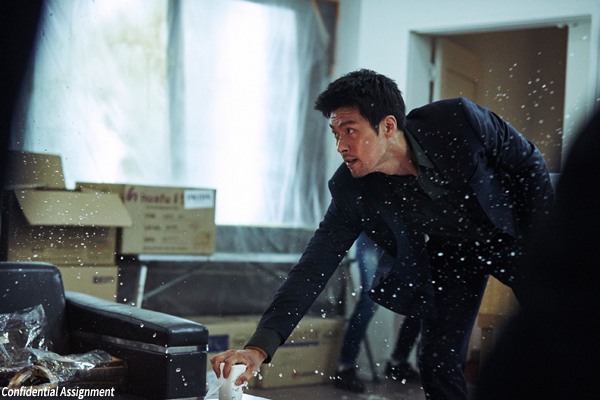 Following quickly on the heels of their smash hit Confidential Assignment, director KIM Sung-hoon and star Hyun-bin will partner up again on the period zombie thriller Chang-gwol (a Korean word which is homonym for both ‘rage’ and ‘outbreak’). In the film, Hyun-bin will incarnate the talented swordsman but also womanizing and gambling-prone LEE Chung, a prince of the Joseon Dynasty who has been taken hostage by the Qing Dynasty. Returning to Joseon after ten years, and following his elder brother’s ascension to the throne, LEE Chung is confronted with monsters that attack during the night. Prior to Chang-gwol, Hyun-bin will be seen in the conman drama Ggoon alongside YOO Ji-tae which wrapped shooting in late January. Hyun-bin’s other major credits include A Millionaire’s First Love (2006), Late Autumn (2011) and The Fatal Encounter (2014). Director KIM debuted with A Wonderful Moment in 2013. His second film Confidential Assignment welcomed 7.82 million spectators (USD 55.53 million) earlier this year. For his latest film, KIM promises a high-concept action blockbuster with original visuals. Next Entertainment World is on board to finance and distribute the film, which will begin shooting in the second half of the year once casting has been completed.